Have you ever tried to put scraps together only to find that you can’t seem to get the look you want? Yes, me too. Well, after all these years, I have a solution for YOU! 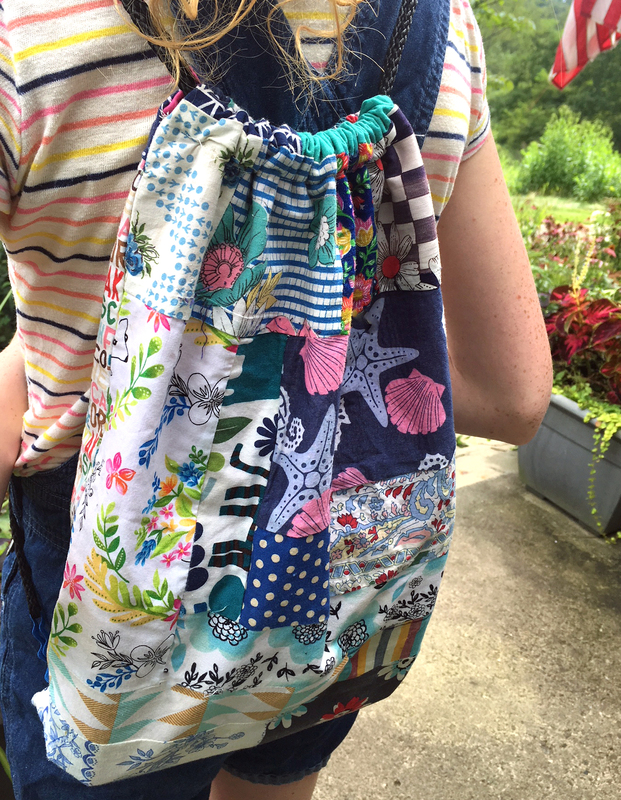 I was helping my daughter make her drawstring backpack (from this post a few weeks ago) and as we were going through how to put all the fabrics together, I realized that maybe a lot of my readers might like some help with these strategies- just like my daughter did! I divide the process into 8 easy steps that will help to make it feel more organized. These steps include combining textures, fabrics sizing, seam placement and sewing together in sections. Leave me comment below to tell me how you successfully combine scrap fabrics! I look forward to hearing from you!